An adventurous spirit and no fear of trying something new have guided Sikelelwa Geya Mdingi’s career choices over the past 13 years. She has worked in an array of media roles, starting at the SABC as intern on news and current affairs show Special Assignment. 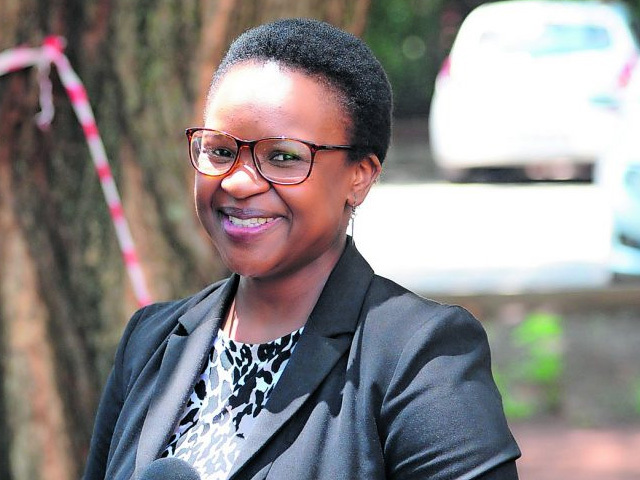 She spent four years with the public broadcaster, rising through the ranks to become a producer on the investigative show Cutting Edge. Mdingi then moved into TV production at Engage Entertainment, and learned a lot about content production, script writing, directing and dealing with, sometimes difficult, talent. At 28 she joined the media department at Nelson Mandela University, teaching journalism and media modules. “I loved seeing students growing in the craft, it was highly rewarding,” she says. “I loved it when my students got that ‘aha’ moment when they realised they could actually be great journalists.” A number of students she taught are now rising stars in print and broadcast journalism, and many attribute their success to her dedicated mentorship. To many people, Mdingi’s face is familiar from her four years with the broadcaster eNCA. “Every day you got a front row seat to witness the history of our country unfolding, but at the same time helping bring South Africans into the moment. Covering the Fees Must Fall protests and the Esidimeni tragedy remain experiences I’ll never forget,” she says. She is now the manager for Global Health Strategies, using her experience in journalism to raise awareness of reproductive health issues such as access to safe abortions.